NEW YORK — One of the last major digital holdouts, “The Autobiography of Malcolm X,” should soon be available as an e-book, the attorney for the late activist’s estate told The Associated Press. L. Londell McMillan said Friday that a digital edition will likely be out by May 19, what would have been Malcolm X’s 90th birthday, and that the estate expects to self-publish the book. Saturday marked the 50th anniversary of Malcolm’s assassination. 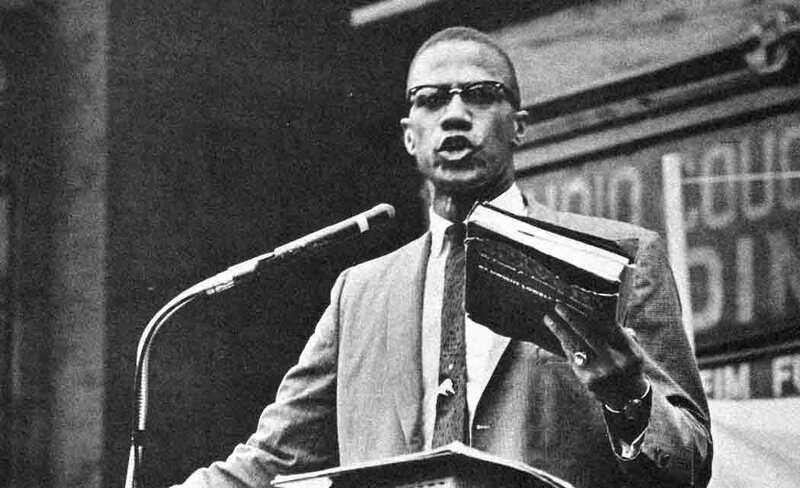 “Malcolm X was a fervent advocate for self-help, self-reliance and self-respect,” McMillan said in explaining why the estate favored self-publishing over releasing the e-book through the publisher of the paper editions, Ballantine Books, an imprint of Penguin Random House. McMillan said that the estate, X Legacy LLC, also hopes to release an audiobook and to self-publish other works by Malcolm, including speeches, letters and diaries. In November 2013, the estate sued to prevent a Chicago-based publisher from releasing a diary Malcolm X kept near the end of his life. “We shall vigorously file legal action to protect those intellectual property rights,” McMillan said. The autobiography is a collaboration with Alex Haley published in 1965, soon after Malcolm was killed. It was immediately acclaimed as a riveting account of Malcolm X’s self-transformation, has sold millions of copies and is widely regarded as one of the most important memoirs in American history. Porscha Burke, a publishing manager and associate editor at Random House, told the AP that the hardcover and paperbacks of the autobiography were “precious jewels” and noted that the publisher had prepared special editions for the 50th anniversary of the book’s release. “While we would be honored to be asked to publish an e-book edition, we are aware, and respectful, of the estate’s interest in publishing the work as an e-book under their own direction,” Burke wrote in an email. Agents have long complained that e-book royalties paid by traditional publishers are too low, but rarely have works as popular as “The Autobiography of Malcolm X” been self-published or released through a third party. J.K. Rowling decided to sell e-editions of her “Harry Potter” books through her own Pottermore web site. Such celebrated novels as Alice Walker’s “The Color Purple” and Erica Jong’s “Fear of Flying” are published as e-books through the digital company Open Road Integrated Media. The number of works not offered electronically has shrunk rapidly in the past few years, with even such devotees of paper as Harper Lee and Ray Bradbury permitting e-books. J.D. Salinger’s “The Catcher In the Rye” and Gabriel Garcia Marquez’s “One Hundred Years of Solitude” are among the few major books still unavailable digitally.